Phacelia tanacetifolia is fast growing, easily started and attracts lots of pollinators with its attractive purple to blue flowers. 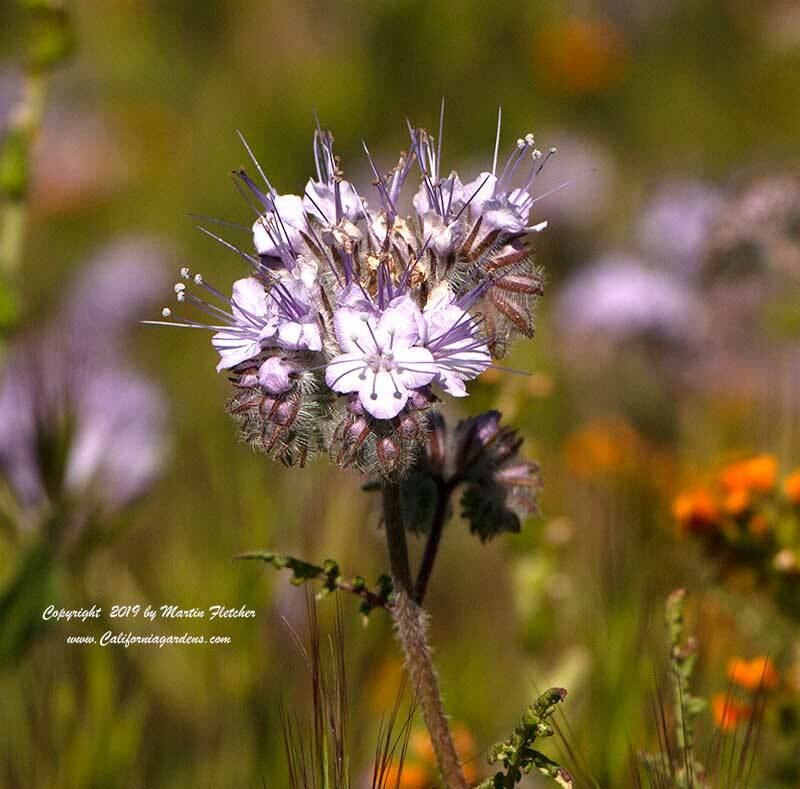 The Lacy Phacelia grows well in poor soils though will grow 2-4 feet in better conditions. Phacelia tanacetifolia has become popular in polinator strips in agriculture due to it ease of growth and long blooming season. This has also made Phacelia tanacetifolia seed easy to find. Phacelia tanacetifolia is naturally found in grassland, chaparral and desert plant communities up to 7000 feet. Wildflower seeds in our area are best broadcast in the garden with the first of the rains in the Fall. Purple Blue flowers of Phacelia tanacetifolia - Lacy Phacelia, Tansy Leafed Phacelia. High resolution photos are part of our garden image collection.